As the year goes by and the summer grows short, children start the dreaded school year, and people are starting to pack up cottages, and trailers. 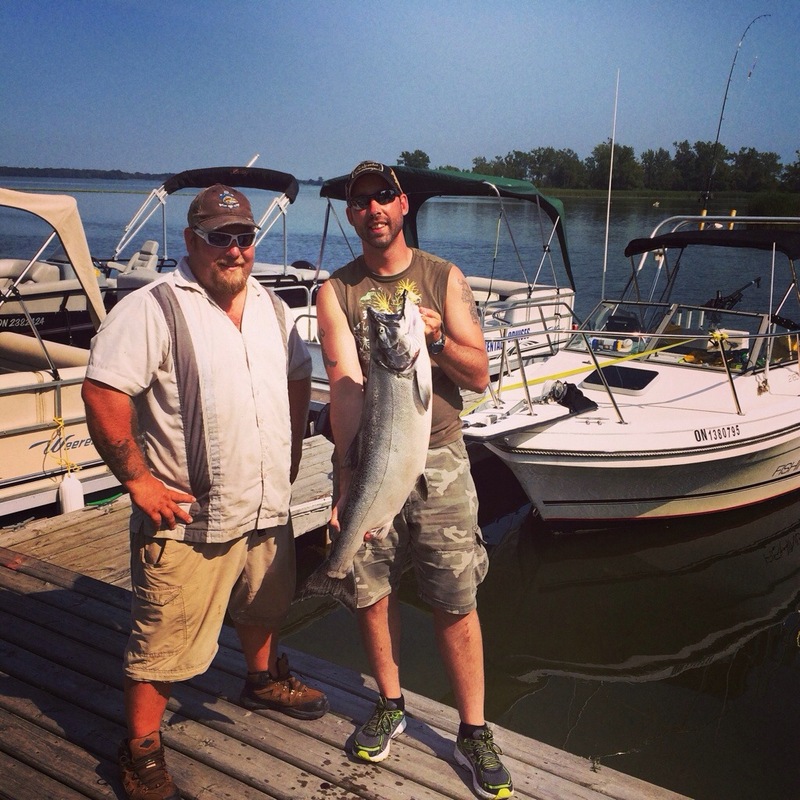 Most people tend to think that the open water fishing season is quickly coming to an end. Well I’m gonna tell you that when it comes to the fishing walleye in the Fall months, this can be, and usually is some of the best fishing times of the entire year. Here on The Bay Of Quinte we are just gearing up for the busiest time of the year. This is the time of the year where many people flock to the Region in hopes of landing a trophy walleye of a life time, A true worthy wall mount. The best time of the year to catch those monster eye’s is between October and the end of November or until the ice no longer permits you to get out on the open water. As the temperatures drop drastically throughout the fall, the walleye migrate from the open water of Lake Ontario into The Bay Of Quinte, in preparation for the Spring spawn, and the fishing gets better and better. 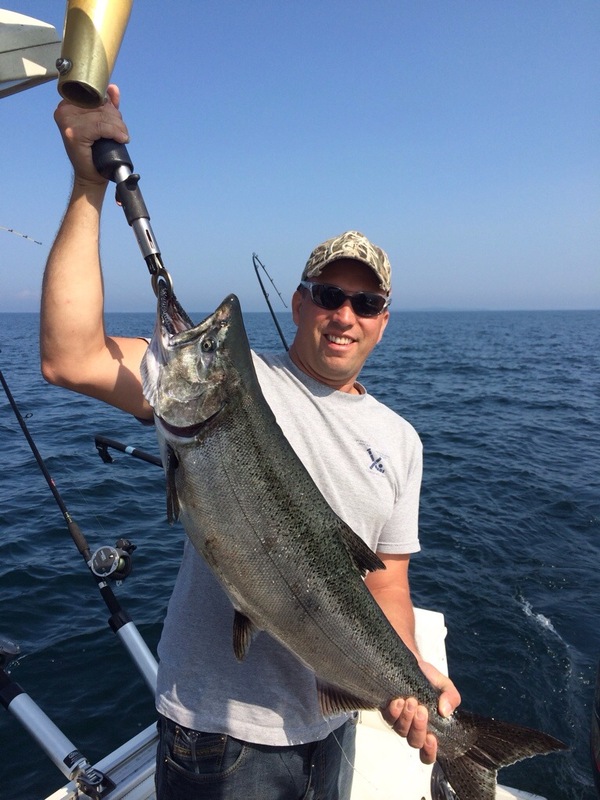 This is a perfect opportunity to get out and catch that fish you were looking for all summer long. it is not uncommon to see many fish from the 9 to 13lbs range on a daily basis, and even up to 15/16 lbs can be caught frequently. 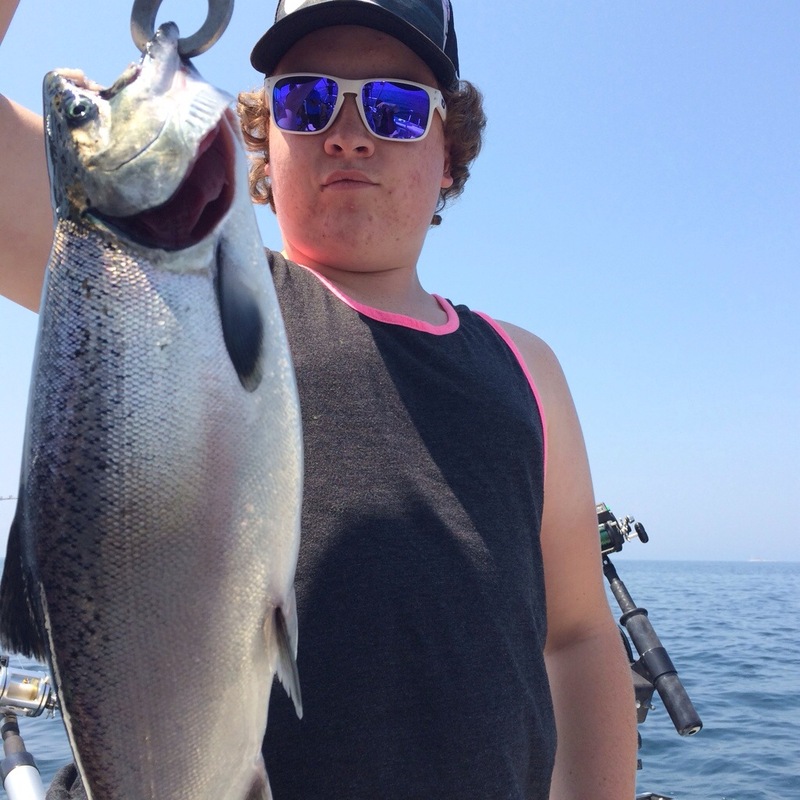 But don’t be fooled, even though many of these fish are caught daily Quinte is a master at the ultimate tease. I have been out for days at a time with great numbers of fish on the graphs, and on our lines, and just when you think you are a master at catching these finicky fish and you cant do anything wrong, you go out the next day and they have all disappeared on you and you need to start from scratch finding them again. 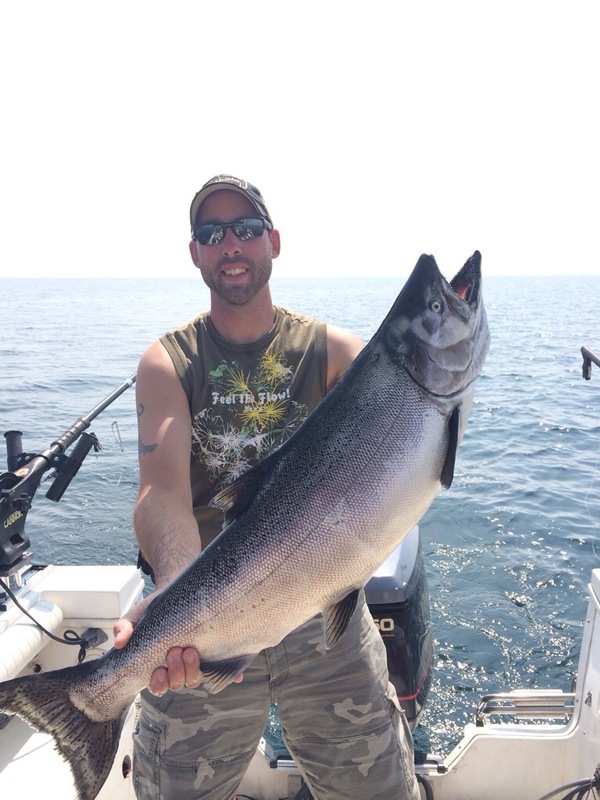 I am on the fish year round have many producing spots around the Bay, so if your one of those people that figure the fishing season is over in September and put your boat away for the winter but wish you could get out on the water during this time, then give me a call i’d be happy to book you a trip out this Fall. Who knows maybe i can help land that personal best Walleye you’ve been dreaming of. if you want to learn more about the Fall Walleye on the Bay Of Quinte then follow my blog hit the like button and follow my social media pages for the most up to date, current information, and pictures. I made it up to Chiticamp NS. 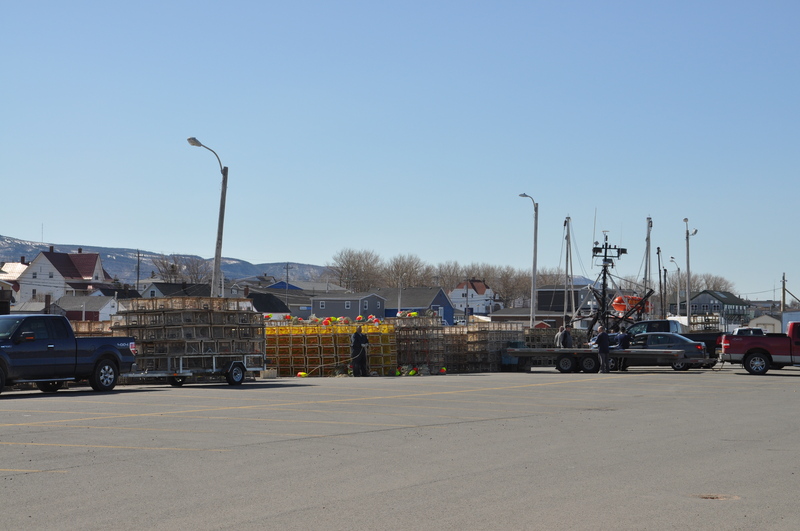 This morning in hopes of potentially landing a very temporary position getting the lobster/crab processing plant ready for the upcoming season, I was unsuccessful in my task, however I was again walking the docks which was very active today, all the fisherman seem to have taken advantage of today’s great weather to get their boats and gear ready. 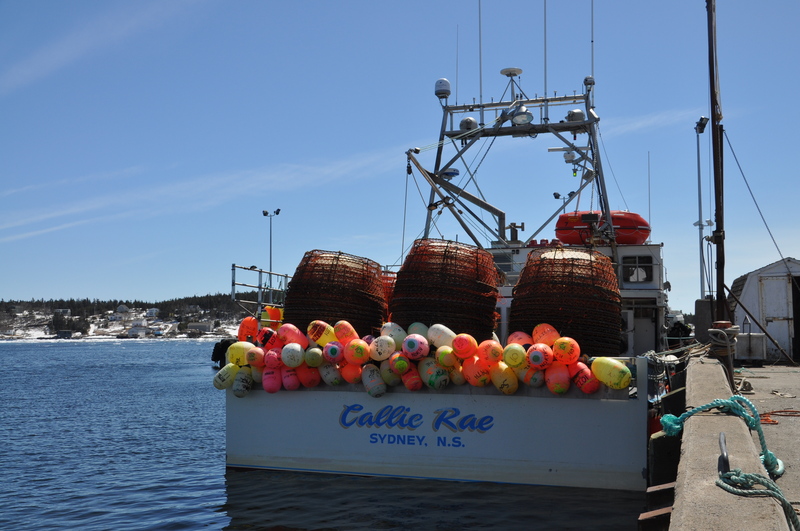 I was talking with some local fisherman and it seems that boats have or are about to start the crab season on the east side of the island. As this is now the 2nd time I have heard this I am contemplating heading over that way in the morning to check it out. As it will be about a 1.5 hour drive I think I will leave my trailer where it is in Inverness, pack an overnight bag (just in case) and try my luck. For the mean time I will head back to Inverness and see what’s going on back in town. As I drive back along the coast I notice that the ice all along the coast seems to have broken up over night and is now moving away from shore. A couple of fisherman told me that when it starts to break up it doesn’t take long, fingers crossed. 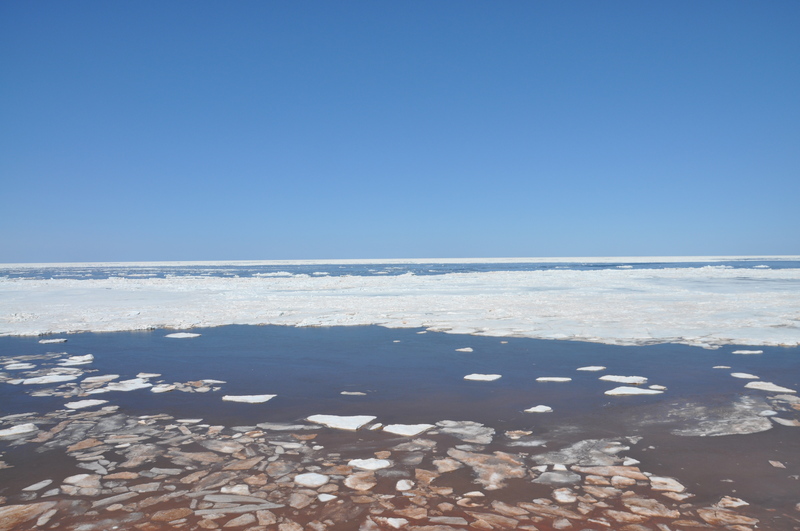 As the day moves along the ice has moved about a ¼ km off shore and looks to be leaving the area. I awoke surprisingly sober around 6am feeling refreshed and ready for the day. 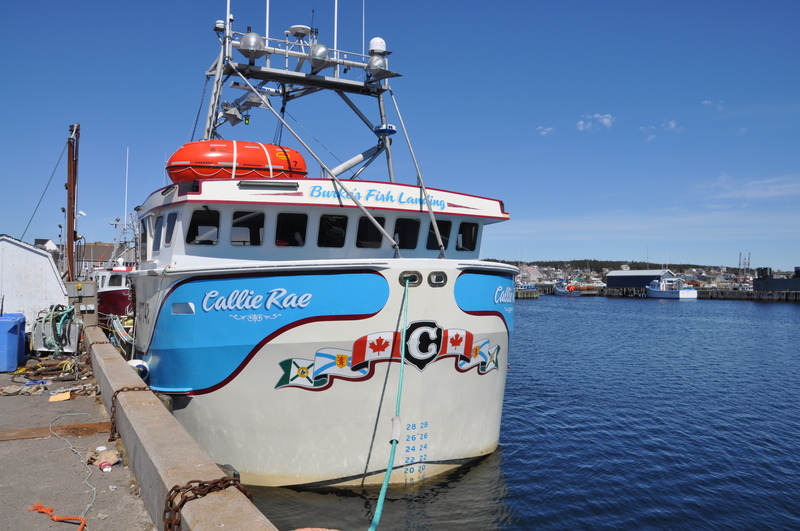 I decided to see what the other side of the island may have in store for this old wannabe greenhorn, so I packed a bag of cloths, some toiletries and headed over to the east side of Cape Breton Island. I arrived into North Sydney NS. 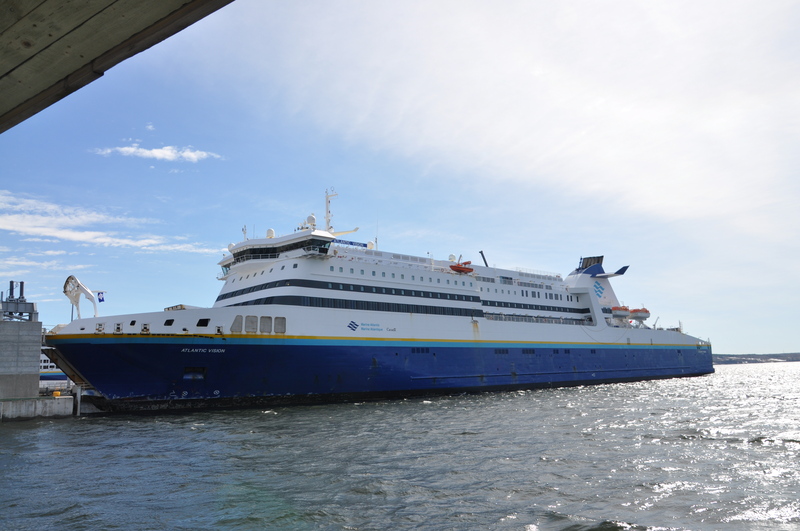 And took a few picks of the very impressive ferry that takes people to Newfoundland, then off to the docks to find some more fisherman. I found a very helpful guy working on his buddys boat (the was called Family comes 1st ) he gave me some info about some boats that were looking for some helpers down in Louisbourg NS, approx 70km south but unfortunately as for the boats in Sydney they probably wont be out until around the 15th of May. The man invited me intoto his brand new lobster fishing vessel, he and his son had just purchased 2 new vessels for the upcoming season, I climbed up the scaffolding and chatted with the man for a few moments, again he invited me to come aboard, I explained that the next time I step onto a lobster fishing vessel it should be one I am fishing on. he seemed to understand that, So I thanked him for his time and info and off I went to find some guys looking to head out. This weeks Tip Of The Week is about Post Spawning walleye. Well its almost time. I’ve been checking some areas of the Bay and I can tell you the walleye have been in full spawn. Many anglers believe that after walleye spawn that the walleye are so tired that all they want to do is rest. This idea is false. The thing is walleye have just finished one of the most difficult activities that they have to do all year, so as soon as they come out of the rivers they go and seek out shallow flats where there are plenty of bait fish and feast. Even though the females seem to have an agenda to get back to the big waters immediately after spawning, the Males will spend the next 2 weeks hanging around the spawning area’s before they start their journey back to the big water them selves. How shallow you ask 7-10 feet and less. I have found post spawn walleye in 2 and 3 feet areas, and in some cases they are so shallow that their dorsal fin breaks water. Most anglers aren’t willing to go in these area’s and for good reason, remember your fish finder is generally 1 to 2 feet below the surface and as you troll these shallow areas your prop will be skimming over the top of the fish and stirring up the bottom. This means your fish finder generally will not be able to pick up any sign of fish activity, this does not mean the fish are not there they are just moving out of the way of your boat. 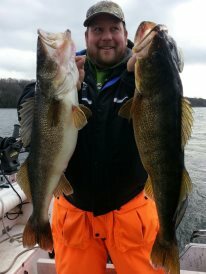 That is why especially in the shallows it is a good idea to troll with those planner boards getting your line away from the boat where these walleye will be going as they try to get out of the way of your motor. Remember Slow presentation is key in the spring, and match the hatch, I hope these tips have helped over the past few weeks and good luck in the Kewanis Walleye Derby this coming weekend if you are participating. Many people have asked me lately if trolling in the spring is a better method than casting or Jigging? I think the best way is to utilize all 3 methods together. In order to find schools of walleye in the spring, you may need to cover a lot of water and this is when trolling can be a strong asset. But first things first, remember to use the weather to your advantage. Before you leave your house make sure you know what the weather is going to be for the day and especially look at the wind direction. In order to give yourself the best chance for catching walleye, fish the windblown shoreline. For example; if there is a strong southerly wind, and has been over the past few days, you will want to find structures off the north shoreline. This is because the wind carry’s the baitfish and the feeding walleye won’t be far behind. Any time you are not sure where the walleye are, it is a good idea to cover lots of area. Cover different depths in the water column, at different speeds, and of course different structures. If you are familiar with an area go to spots that have been productive for you in the past, examples would be defined edges, weedlines, and where there bottom changes (ex. where mud bottom turns to rock). The best way to do this with keeping a lure in the water, is by trolling. If you are unfamiliar with the area, a good place to start is a well known community fishing hole. You can easily find these spots by talking with the local tackle shops, locals at the public launches, and join a fishing forum. People will generally send you to these ‘popular spots’ if you ask. When you begin trolling be prepared to use several presentations, using different combinations of baits, depth, and speed before you find the fish. If you are fishing an area which only allows you 1 rod per angler, get comfortable switching this presentation every 20ish minutes until you have a hit. In the spring, I try to keep my baits relatively small, so try a bottom bouncer with a single hook spinner bait tipped with a minnow, and a body bait suspended in the water column. Vary your speeds between .8 and 2 Miles per hour over the same spots before changing your baits. 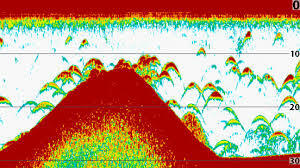 Also, if you are in an area that has been known to be productive and you are not marking any fish it may mean they are high in the water column and your electronics will not detect them, try something high in the water, 5 feet below the surface, and send this presentation out to the sides of your boat with planer boards as the boat motor may be spooking the fish at that depth. Once you have found a couple biting fish it might be a good idea to throw out a marker, mark the spot on a GPS and start casting body baits such the CC shad, or Shad Rap around the area thoroughly . If you do not get a bite then try a jig and you will be surprised what you may find there. Good luck this spring during the walleye opener.